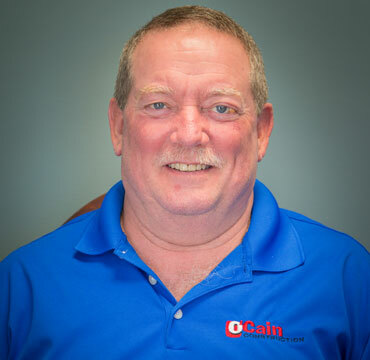 O’Cain Construction is a family owned business in operation since 1975 and is managed by second generation owner, Michael O’Cain. We’re a quality minded contractor building with excellence for customer satisfaction before, during, and after the construction process, a fact that is reiterated by a strong repeat client base. We strive to earn your business every day. Every day, each member of the O’CAIN team is completely committed to the efficient and consistent delivery of superior services. 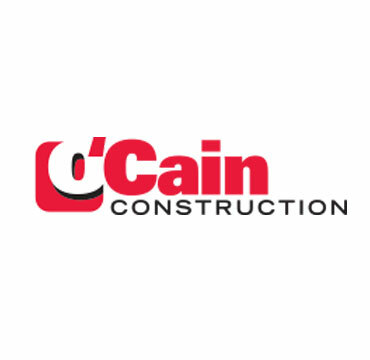 O’Cain Construction specializes in the construction of commercial buildings for loyal and educated clients who are value focused (quality over price). Our company is well organized with a dedicated team that is committed to deliver a high-quality product while maintaining an unwavering focus on our ethical standards and commitment to the highest level of integrity. Our core values: safety, quality, teamwork and professionalism. This core lays the foundation for O’CAIN to achieve our ultimate goal; building our clients’ trust. 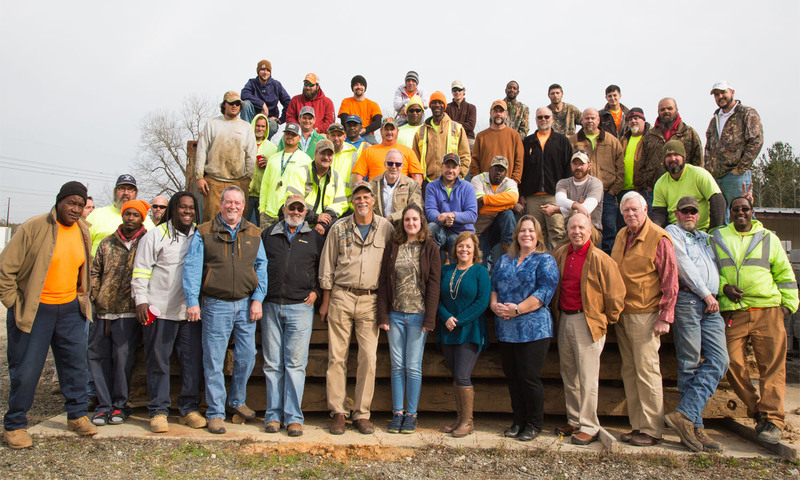 We believe our employees are our most important asset. Implementing an effective Safety Program benefits our company by protecting our team. 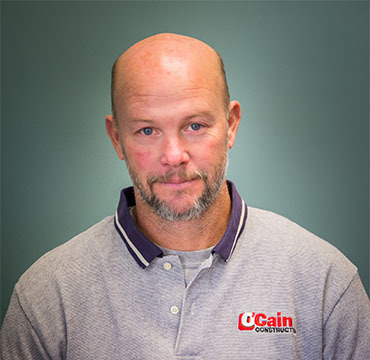 The management of O’Cain Construction maintains and controls this program that also includes a drug policy as an aid in improving our workplace and ensuring the safety of all team members. In addition, a safer work history helps keep our worker’s compensation costs down, thereby allowing us to give our clients more competitive labor rates. In addition to our Safety Program, we have developed a comprehensive Quality Control Program beginning with pre-construction and continuing through post-construction. Our projects are built at a level, which exceeds industry standards. Our managers build every project as if it were their own, and will do what is necessary for our clients’ satisfaction. Michael (Mike) is a Civil Engineering graduate of Clemson University with over 25 years experience in the construction industry. He is actively involved in project management and estimating, thus resulting in each project receiving his personal attention to budget, schedule, and quality control. Reginald has over 11 years of experience in leading electrical crews on various commercial and industrial installations. 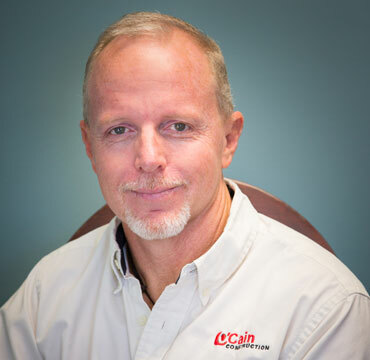 He has been with O’Cain Construction since 2014 and is responsible for all electrical estimating and production within the Electrical Division. He has an Associate Degree in Electronics and is the Qualified Electrician on O ’Cain’s Mechanical License. Michael's responsible for all estimating and production in the Plumbing Division. Involved in all aspects of plumbing including shopping centers, restaurants, medical facilities, industrial plants and residential development. 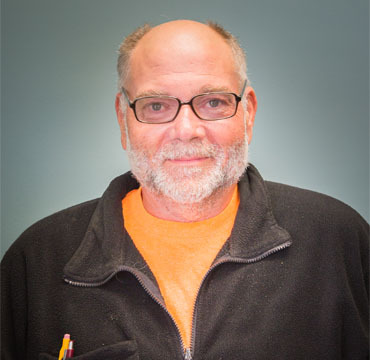 He is a Licensed Master Plumber in both SC and GA.
With over 20 years of experience in sitework construction. Chad is a certified Erosion Control Inspector and holds the General Contractors License for grading, asphalt paving, water lines and sewer lines. He has successfully completed projects for municipalities, developers, private owners, HUD projects, and the Army Corp of Engineers. Ryan has been in the construction industry for over 25 years. He has served in multiple capacities throughout the years. Ryan is a licensed erosion control inspector in the state of South Carolina. Ryan joined the O’Cain team over 10 years ago. Shane is one of our Business Development Directors. With over 12 years’ experience in Business Development and Sales Operations, he assists with our growth and client relations. He also heads up our marketing, recruiting and on boarding efforts to increase our ability to better serve our clients. Edgar is our one of our Business Development Directors. He has over 47 years of Commercial and Industrial construction experience. Edgar is a retired Navy Captain in the Civil Engineer Corp with 22 years military construction experience. He joined the O’Cain team in 2012. Inga manages our Accounts Payables. She has over 21 years of experience in accounting in the construction industry. Inga joined the O’Cain Construction team in 2014. Hal is our Safety Coordinator and Procurement Manager. He has over 18 years’ experience in Residential and Commercial Construction. Hal joined our team in 2015. Brenda is our Office Manager and Payroll Administrator. She has over 23 years of accounting experience in the construction industry. 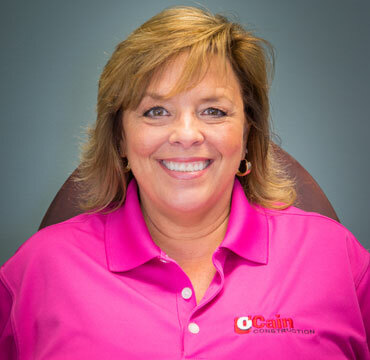 Brenda joined the O’Cain Construction team in 2016. 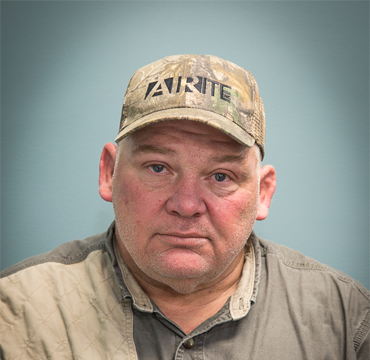 Barry is one of our Project Superintendents for General Construction. He has experience in Concrete, General Construction, and Project Management. Barry also has experience with Estimating and Procurement. He joined our team over 17 years ago. Robert is one of our Project Superintendents. 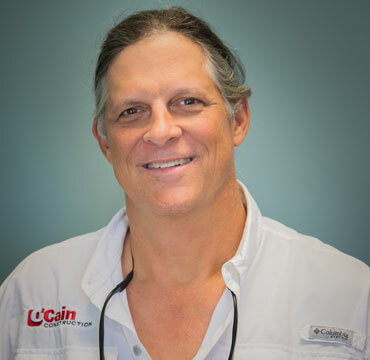 He has over 25 years of Construction experience with specialties in Carpentry, Steel Erection, Roofing, and Metal Trim. He joined our team over 10 years ago. Tony is our Lead Electrical Superintendent. He has over 30 years’ experience in Industrial and Commercial construction. Tony joined O’Cain in 2015. Brett is our Concrete Project Superintendent. He has over 25 years’ experience in Industrial and Commercial concrete construction. He specializes in Structural Wall construction and Foundation Excavation. He recently joined our team in 2017. 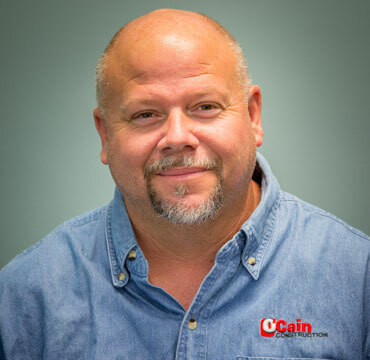 Kevin has 20 years experience as a Superintendent and joined the O'Cain Team in 2018. 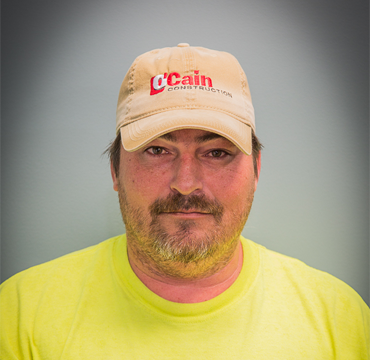 Matthew is one of our Sitework Superintendents and joined the O'Cain Team in 2018.